In the latest UK Threat Landscape report, the UK’s emergency services have been found to be at risk of a major cyber-attack. The report by Anomali evaluates the UK’s Critical National Infrastructure (CNI) against threats and possible vulnerabilities and general weak spots which could be exploited by attackers.The emergency services, more specifically the healthcare services, have suffered from well publicised cyber attacks. It has been reported that new research from Kaspersky Lab, released today, has highlighted vulnerabilities in smart home hubs across millions of UK homes. Researchers discovered that the hub sends user data when it communicates with a server, including the login credentials needed to sign in into the web interface of the smart hub. Remote attackers can then download the archive with this information by sending a legitimate request to the server that also includes the device’s serial number. 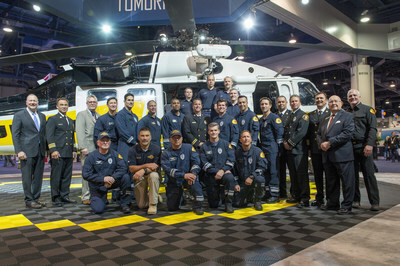 LAS VEGAS, Feb. 27, 2018 /PRNewswire/ — Sikorsky, a Lockheed Martin Company (NYSE: LMT), today honored the Los Angeles County Fire Department for its search and rescue efforts and superior helicopter maintenance while battling numerous wildfires during the 2017-2018 fire season. The recognition occurred at the 2018 Helicopter Association International Heli-Expo, where Sikorsky also presented a $15,000 donation to the Firefighter’s Cancer Support Network. DENVER, Feb. 27, 2018 /PRNewswire/ — The foundation for Lockheed Martin’s (NYSE: LMT) satellite production factory of the future has been completed. The Gateway Center construction is making rapid progress and is on track for its completion in 2020. 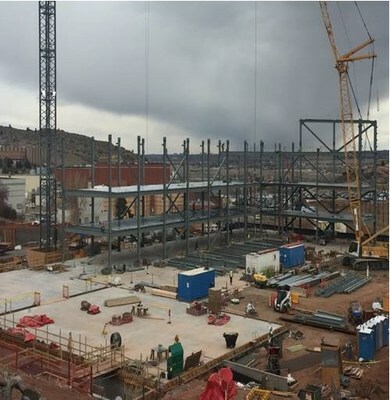 The project recently reached a significant milestone, when the construction team began installing vertical structural steel. Las Vegas, 27 February 2018 – At Heli-Expo Leonardo is announcing a range of both new and further enhanced training and flight operation services aimed at a continued increase of safety, missions effectiveness and customer service quality. 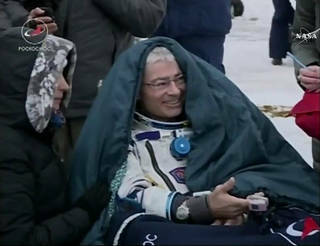 NASA astronaut Joe Acaba, Russian cosmonaut Alexander Misurkin and NASA astronaut Mark Vande Hei relax after their return trip from the International Space Station to their landing site southeast of the remote town of Dzhezkazgan in Kazakhstan, where they touched down at 9:31 p.m. EST Tuesday, Feb. 27, 2018. NASA astronaut Joe Acaba gives a thumbs-up to the cameras after landing with his fellow International Space Station Expedition 54 crew members near Dzhezkazgan, Kazakhstan, at 9:31 p.m. EST Tuesday, Feb. 27, 2018, after 168 days in space. 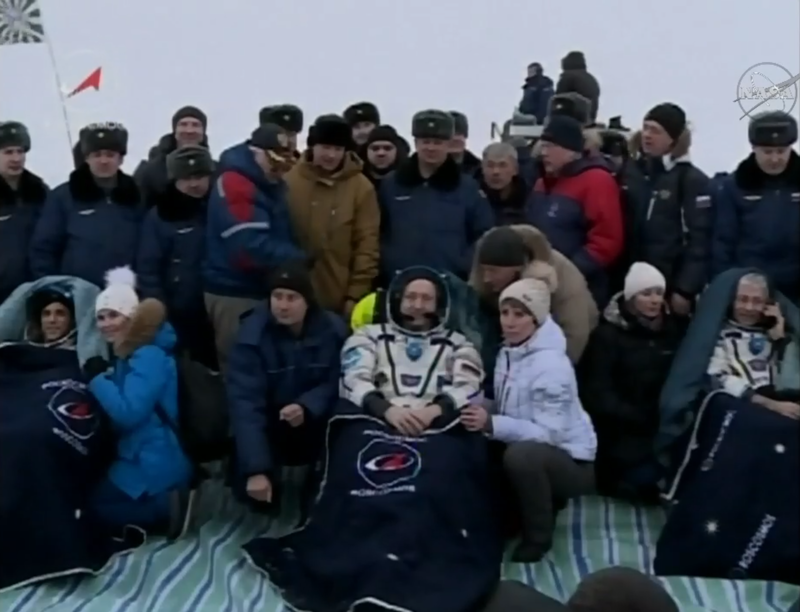 NASA astronaut Mark Vande Hei enjoys his first moments of fresh air on Earth after landing with his fellow International Space Station Expedition 54 crew members near Dzhezkazgan, Kazakhstan, at 9:31 p.m. EST Tuesday, Feb. 27, 2018, after 168 days in space.